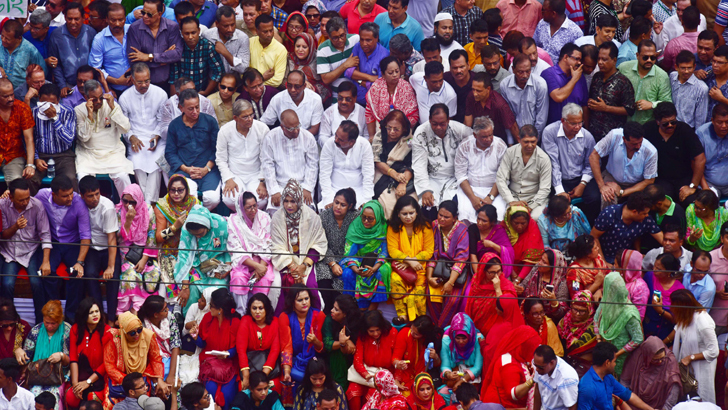 Dhaka, Sep 1 (Just News): BNP senior leaders on Saturday urged all, including democratic political parties and institutions, to forge a greater unity to ensure the rule of people and 'restore' democracy by removing the current ‘autocratic regime’. 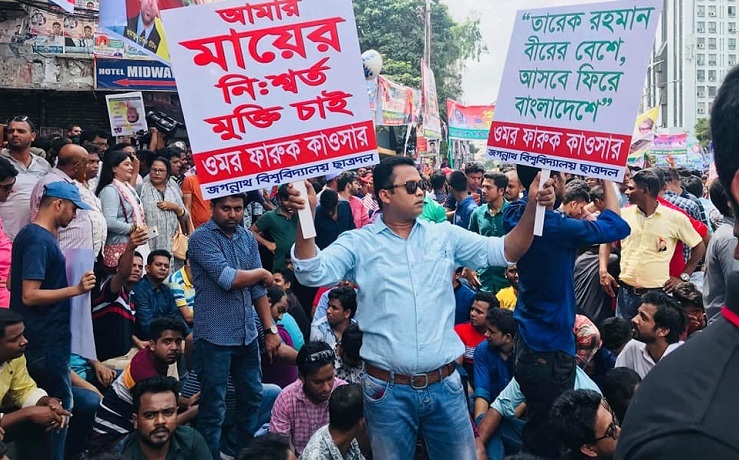 Speaking at a public rally, they also demanded the government release BNP chairperson Begum Khaleda Zia and all political prisoners after withdrawing the 'false' cases filed against them to create an atmosphere for an inclusive and meaningful election. Thousands of leaders and activists of BNP gathered at Nayapaltan to attend the rally marking the party's 40th founding anniversary. 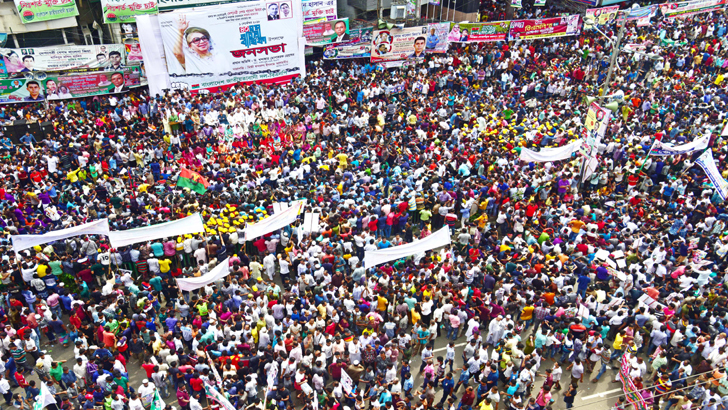 Leaders and activists of BNP and its front and associate organisations from different parts of Dhaka city and adjacent districts started to surging in front of BNP central office at Nayapaltan from around noon. 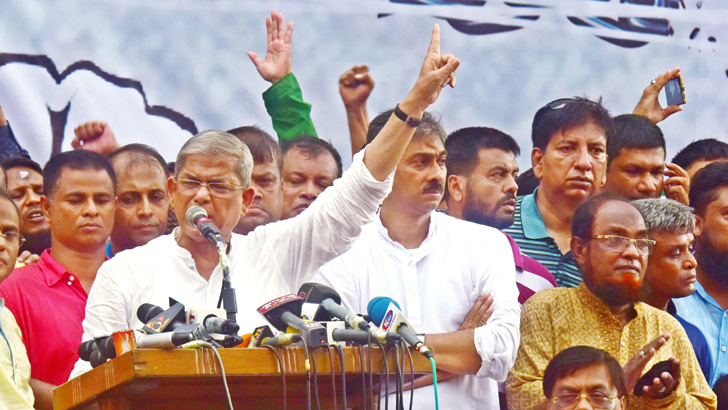 ‘I would like to urge the people of all walks of life, all democratic parties and institution, let's save the country and democracy putting aside all the misunderstandings and conflicts,’ said BNP secretary general Mirza Fakhrul Islam Alamgir. Stating that Khaleda Zia, before going to jail, called for a national unity, he said, ‘We believe a national unity will be forged. We welcome those putting in efforts for forging a national unity. We call upon them to come forward for creating a greater national unity to defeat the autocratic regime and establish the rule of people,’ he said. Fakhrul also said the government must take steps for releasing BNP chairperson Khaleda Zia and ensure her better treatment as she is very sick. BNP arranged the public rally in fort of its Nayapaltan central office marking the party's 40th founding anniversary. Fakhrul said Awami League leaders cannot have sound sleep as a fear of BNP and its leaders always hunt them down. 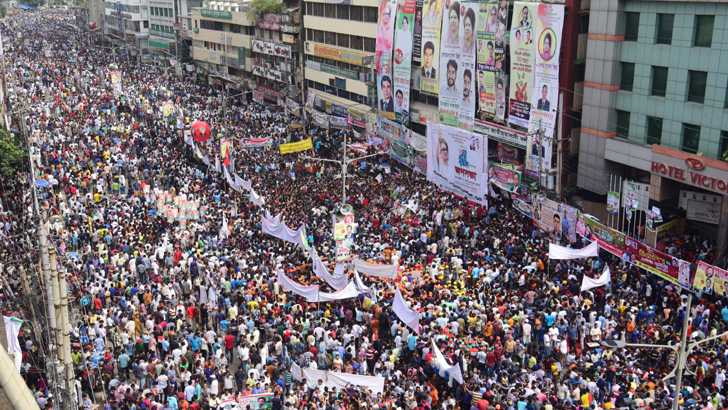 Speaking at the rally, BNP standing committee member Khandaker Mosharraf Hossain said the government is conspiring to use EVM in the next polls to cling to power through another lopsided election. The BNP leader alleged that the government has kept Khaleda Zia in jail unfairly to keep her and BNP away from the next polls. He also called upon the law enforcers to change their partisan attitude so that they can play a neutral role during the election as per people's hopes and aspirations. ‘We need to get ready for taking to the streets. 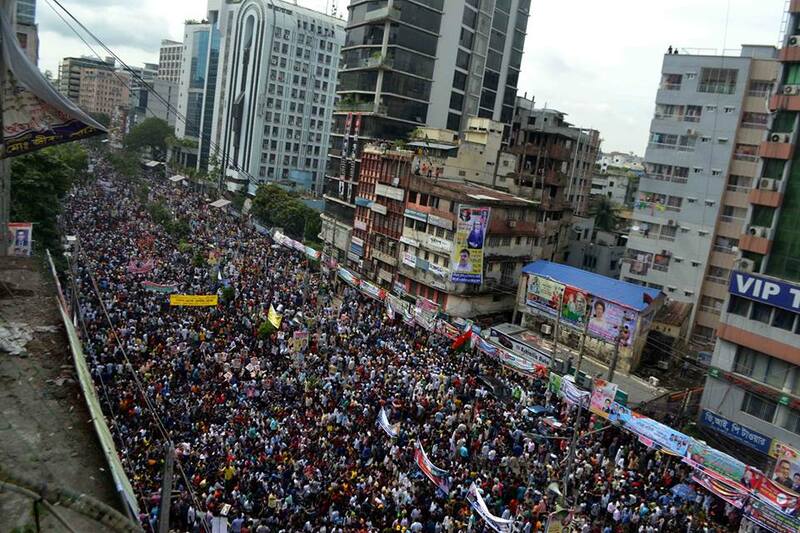 We'll have to go to polls after freeing our leader (Khaleda). We'll carry out the movement for our leader's release and installing a non-party neutral election-time government,’ he said. The BNP leader said the young generation will never vote for Awami League the way the government repressed those waged quota-reform and safe-road movements. 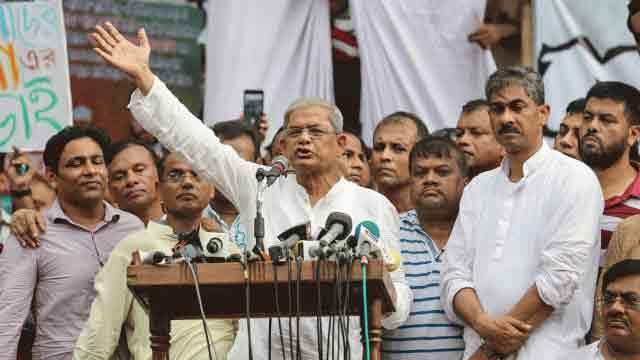 BNP standing committee members, Jamiruddin Sircar, Mirza Abbas, Gayeshwar Chandra Roy and Amir Khosru Mahmud Chowdhury, among others, addressed the rally.